It's really no surprise that I'm tempted by all things shape shifters, lore, stories, movies and even jewelry. I mean, I do write about that particular paranormal creature quite often, or at least try to. So when I do come across some bit of shape shifter paraphernalia that I've not seen before, the anticipation to spend more time with it is incredible. When the new find happens to be a shape shifter series, well, can you say happy tingles! 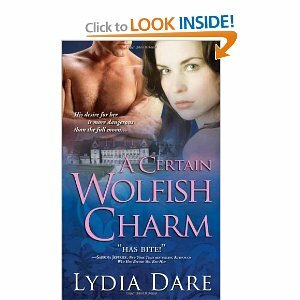 Lydia Dare's werewolf series is just that, the trail of happy tingles across the swirls of my brain. Her characters are strong yet lighthearted and fun. This series is a temptation not to be missed. Wolfie shapeshifter coolness, or is that extreme hotness?